To be part of the yachting cognoscente you need to forget chartering a plastic fantastic and skip out on sailing the Mediterranean summer and Caribbean winter milk run. 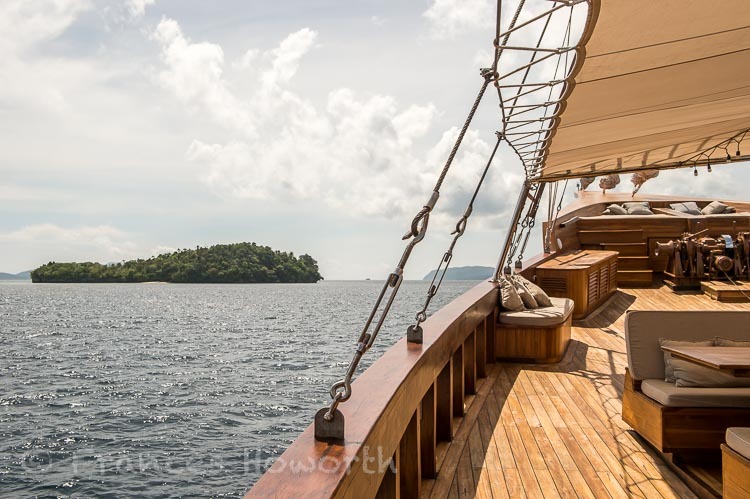 Today’s in crowd are cruising Raja Ampat in traditional style on board locally built luxury craft. Commissioned by the Ibiza-based boutique hotel brand Atzaro, Prana by Atzaro is a 55 metre Phinisi expertly hand-crafted using ironwood and teak as the prime materials. 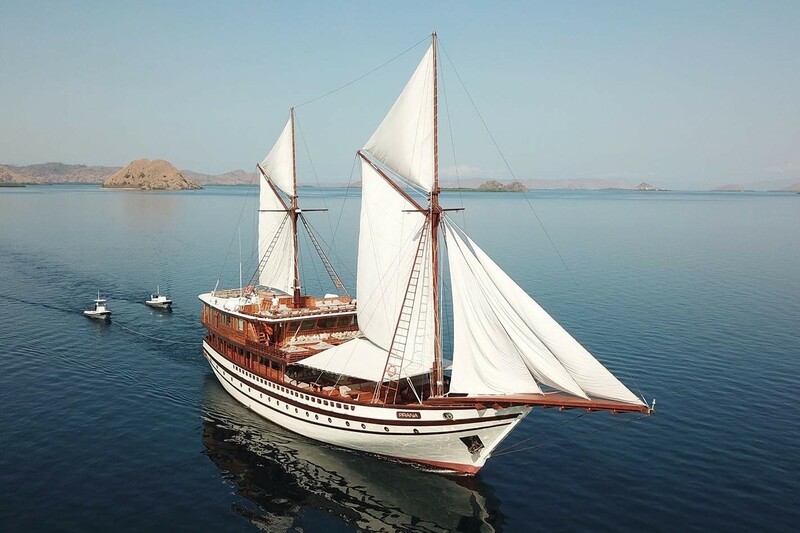 Constructed using ancient boat-building traditions mastered by the seafaring Bugis tribe, the two-masted traditionally styled yacht took 21 months to complete, from the laying of the keel, hull and bulkheads to finishing the superstructure, decks and soft furnishing. Now available for charter, Prana by Atzaro boasts nine spacious en suite cabins spread across four decks, a yoga terrace, numerous indoor and outdoor living and dining spaces, a dedicated spa, a water sports platform and even a cinema under the stars. 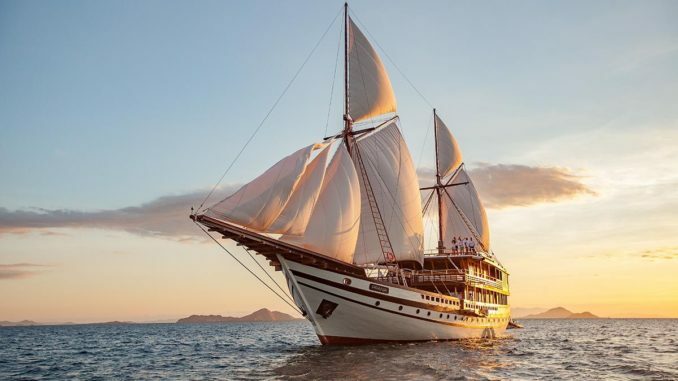 It is available for sailing, diving or retreat charters through Indonesia’s exotic Eastern destinations, including Komodo National Park, the Banda Islands and Raja Ampat which is where we joined her. Famous for their Jurassic-like beauty, the islands of Raja Ampat embrace over 1,500 rambling Indonesian islets encompassing over 40,000 square kilometres and are set among cays, coral reefs and shoals like rough shaped jewels in a cerulean sea. Located off the northwest tip of the island of Papua in the northeast seas of the Indonesian Archipelago, they lie at the point where the Pacific becomes the Indian Ocean. The resulting currents stir up nutrient-rich water in the tropical climate, nurturing magnificent coral reefs and unparalleled marine life. Magnificent coral reefs abound throughout the archipelago and the islands boast a carpet of unique flora and fauna. Until you have sailed into the lagoon at Wayag and climbed to the top of the peak you cannot really claimed to have seen it all. With its iconic limestone outcrops, Wayag and the marine sanctuary that surrounds it, has become the poster child of Raja Ampat, seldom do travelogues omit at least one shot across the lagoon from up on high. The vista typifies the islands that have been formed into surreal conical shaped karst islands by the dissolution of soluble rocks before being scattered across an emerald sea. Our itinerary included calls at Aljui Bay on the western end of the island of Waigeo. Here we anchored amid mucky, murky waters to visit the Atlas Pearl Farm, a far-flung yet gorgeous location where some of the world’s finest South Sea pearls are to be found. Touring the farm, we learned more about these natural wonders from a well-informed member of staff who allowed us to watch technicians removing pearls the size of chickpeas from inside the still living mollusc. 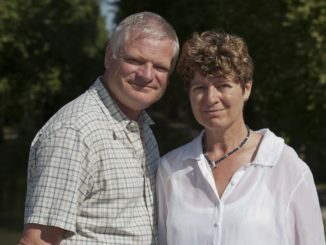 Next was the small yet beautiful island of Arborek. Here we simply plunged into the water from the pier and were instantly engulfed in a glittering array of spectacular coral fans and walls of fish, just below the surface. With turtles, stingrays and schools of snapper and fusilier fish one wonders why scuba gear is at necessary. The local people here are both welcoming and industrious, creating unusual handicrafts from sea pandan leaves. They live as they have done for thousands of years and are just one of many indigenous tribes within the region. After our run ashore we return to Prana by Atzaro clutching trinkets ready to be engulfed in the luxury of a massage in the spa before being served sunset drinks and a delectable fine dining feast frequently served on deck. Wellness is a key element in the Prana by Atzaro ethos; with her own yoga deck, and two spa therapists to administer treatments on deck, in-room or inside the peaceful Atelier de Beauté, using Anne Sémonin products. The yacht is a sensational choice for a large group of family or friends and features eight lavish, air-conditioned cabins accommodating up to 16 guests. On the upper deck behind the bridge guests will find the sumptuous Batavia master suite, with its super king- size bed, double wardrobe, lounge and writing desk. Huge wrap around floor to ceiling windows open out on to its own spacious 20m2 private deck overlooking the stern. The en suite bathroom features a double rain shower and twin vanities. Also located on the same upper deck is the 37m2 Uluwatu VIP suite we occupied with its super king-size bed, dramatically large windows on both sides and an en suite bathroom. We were very comfortable living here. Below decks; four more double suites cabins feature private en suite bathrooms, mini fridges, Smart TV and sound systems although quite what the TVs are used for no one of ever found out! 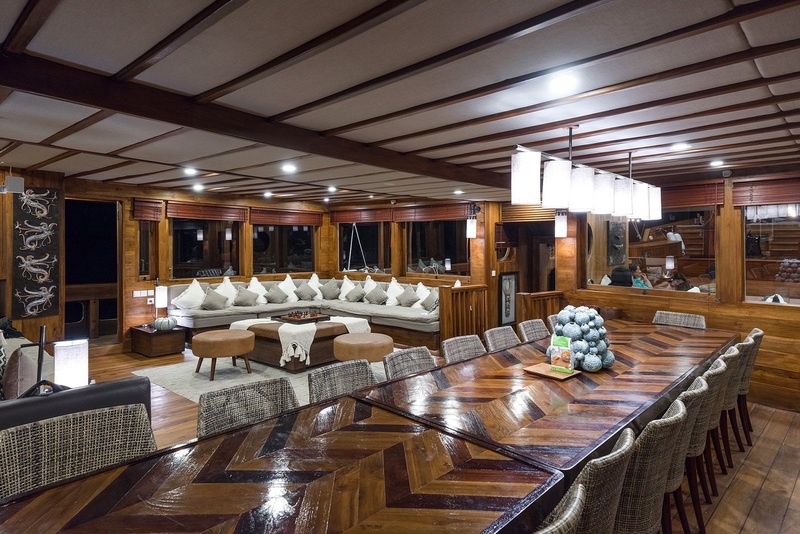 On the main deck, there is a vast open plan saloon with an impressive dining table for entertaining. 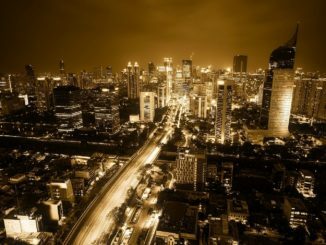 Here Fauzi our chef served Western and Asian fusion dishes with fresh local ingredients, pairing them each time with fine wines from the extensive on board cellar selection. 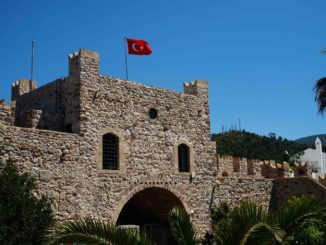 Outside, there is a yoga deck on the highest level (which can also be converted into a cinema under the stars) and oversize sun loungers on the upper deck to catch the ocean breeze. 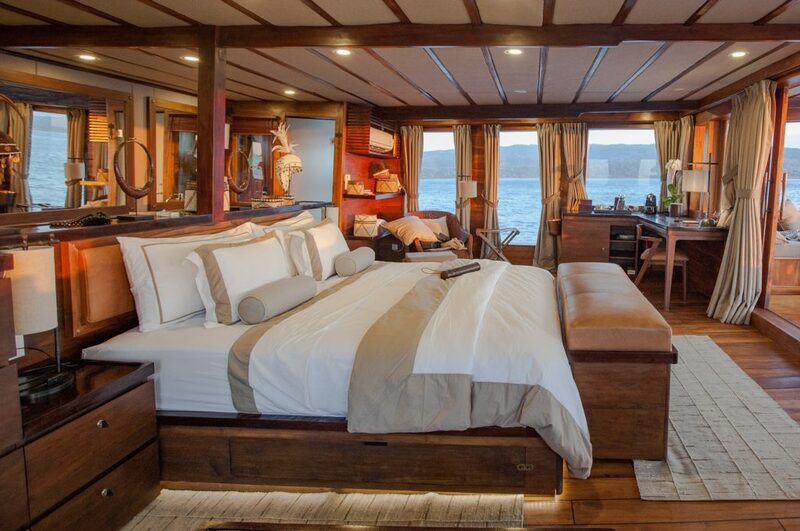 On the main foredeck, guests will find ample space dotted with large daybeds and alfresco dining. Elsewhere onboard, there is also a water sports deck equipped for diving, snorkelling, kayaking, paddle boarding, water-skiing and wake boarding. 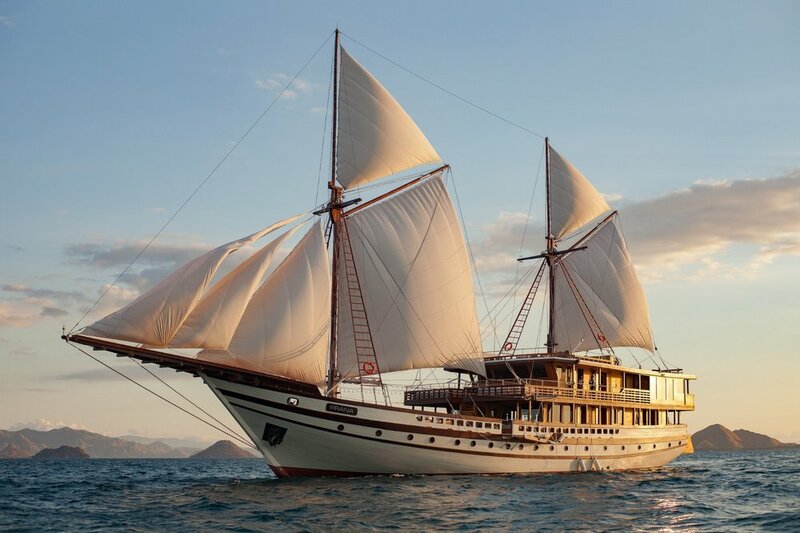 Under the command of Captain Andi Bahar, Prana by Atzaro carries an experienced local crew of 17 including two chefs and two masseuses and a European cruise director. A suite on the Prana by Atzaro (pranabyatzaro.com) costs from $1,120 (£880) a night. Charters cost from $12,500 (£9,800) a day, inclusive of meals, local beer, soft drinks, one spa treatment, transfers from airport to yacht, and all activities.